It was the day of the spring solar eclipse. While others gathered in workplaces and snatched glimpses from public transport, I was lucky enough to be in a field in Mid Wales with a clear view across dew-sugared fields. I was on assignment at that time for Greentraveller.co.uk, walking sections of the Glyndwr’s Way National Trail. The eclipse arrived with a beautiful spring morning and the countryside around Machynlleth proved itself – once more – to be full of mythology, spirituality and intrigue. That night, Romy Shovelton [pictured above] described her journey from working farmhouse to five-star eco-retreat over a pint of locally brewed Monty’s MPA pale ale at her local pub, The Aleppo Merchant Inn. We set out from Tyddyn Retreat early the next morning, spring lambs gambling in the fields from the farm across the way, to pick up the trail on the tops over Machynlleth near Bwlch. Canary-yellow daffodils dotted the trail and flowering tufts of bracken lined the path as we descended a set of old Roman steps to stroll into the bustling little town. Read the full story shortly at Greentraveller.co.uk. Liked this? Try also Pink Ribbons. Thanks David. 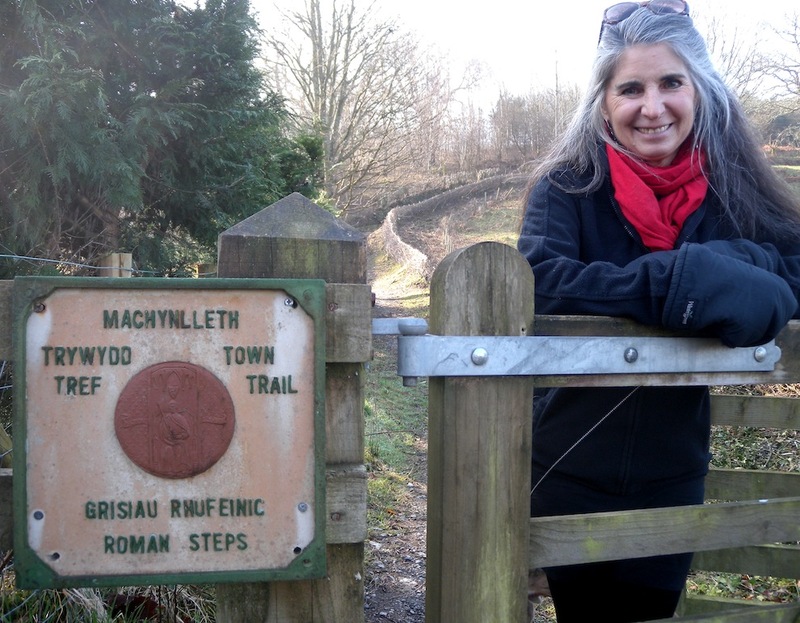 It was truly a great pleasure welcoming you to stay at Tyddyn Retreat, and having time to walk and talk. Looking forward to seeing your full article… and learning from your writing skills sometime.